Guardians of the Galaxy Vol. 2 has been super secretive about Ego the Living Planet, keeping Kurt Russell’s character mostly hidden from the public eye. The closest glimpse we’d had (until now) was an action figure two-pack, but here’s a look at Star-Lord’s daddy in the flesh. A leaked photo of Russell’s Ego has been making the rounds online. According to Comic Book Movies, it likely came from a Snapchat story, so it’s not official, per se. But it definitely matches what we’ve seen so far from Russell’s action figure, as well as the costume that was featured at 2016's San Diego Comic-Con. It’s still unclear why Russell’s Ego is a dude instead of a giant space head in the sky, but it doesn’t matter because his beard is glorious. Check it out below. Chris Pratt is set to debut the latest Guardians of the Galaxy Vol. 2 trailer on Jimmy Kimmel Live this Tuesday. 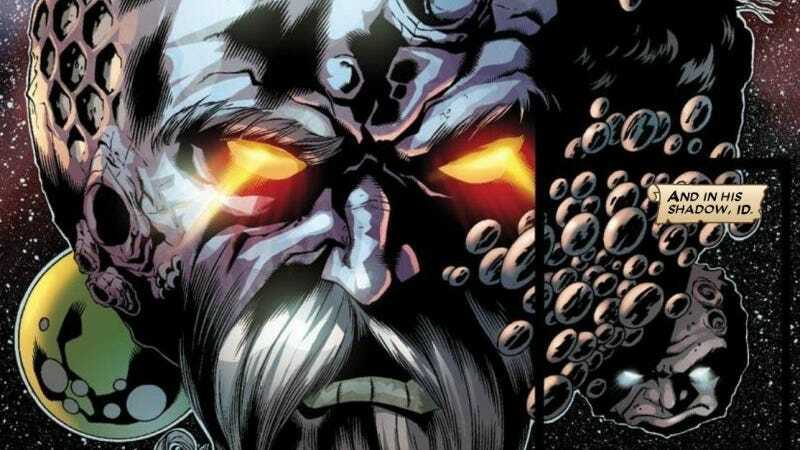 It could finally give us our first official glimpse at Ego the Living Planet, although the chances are relatively slim, since they’ve been keeping their cards super close to their chest so far. At least we’ve got this master of facial hair to gawk at in the meantime. Guardians of the Galaxy Vol. 2 comes out May 5.